Well it’s finally happened. The titans have clashed and finally Microsoft and Telstra have come to an agreement, meaning we can enable our users for PSTN calling without the need to deploy something like an expensive Cloud Connector Edition (CCE) solution. 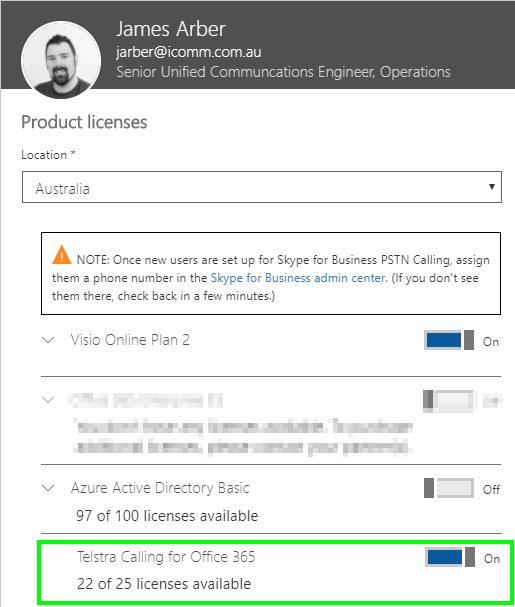 Today they announced that PSTN Calling for Office 365 has arrived in Australia. What does this mean for you? Well, your transition to Microsoft Teams and Skype4B Online might have just gotten a lot easier if you’re a smaller shop that can’t use a CCE or you don’t want to be tied to a physical location with an on-prem deployment. There’s still some "gotchas" that we and a few other partners are helping Telstra sort out before the launch in May/June. But until then, here’s some info to help you plan your transition to the cloud. Official announcement for Telstra Calling for Office 365 is here. Note: This article is written on my findings whilst I’m on the Telstra Calling for Office 365 Early Adopter Program at IComm so information here is subject to change. I’ll do my best to keep it up-to-date but you’re always welcome to come in an have a chat. What do I need to know about Office 365 Calling? Because of the agreement, Microsoft won’t be selling the “Calling Plan” aka “PSTN Calling” licence as part of your Office 365 subscription like in the rest of the world. Note: If you’re hybrid, CCE, or OPCH, don’t assign this licence until you’re ready to cut over! It will remove the users number and calls will stop! After checking with Telstra they have confirmed you will need to purchase your eligible Office365 licences from the Telstra Apps Marketplace unless you are using Microsoft EA licencing. (Nothing in stone re Partner/Action Pack) You will not be able to use CSP licencing from another vendor and assign PSTN Calling for Office365 licences to them. 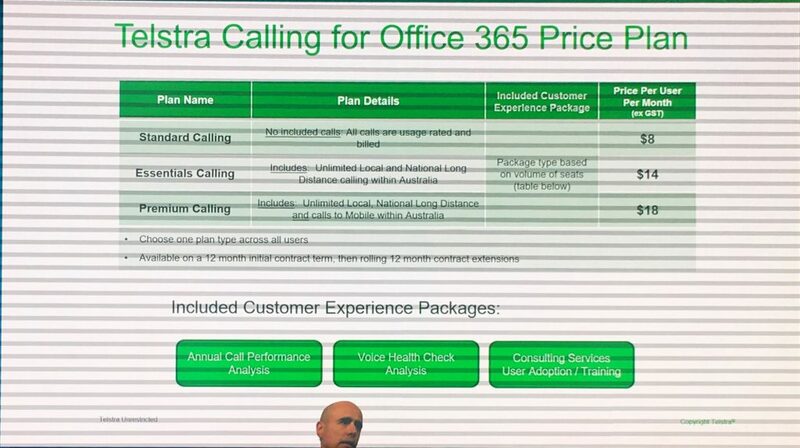 This post originally appeared on James' personal blog, Skype4BAdmin.com, here: Telstra Calling For Office 365 Announced on Monday 19 March 2018. IComm Australia is part of the Early Adopter Program and is one of 5 UC Integrators that can properly assist you with your roll-out. Register here for a free demo.